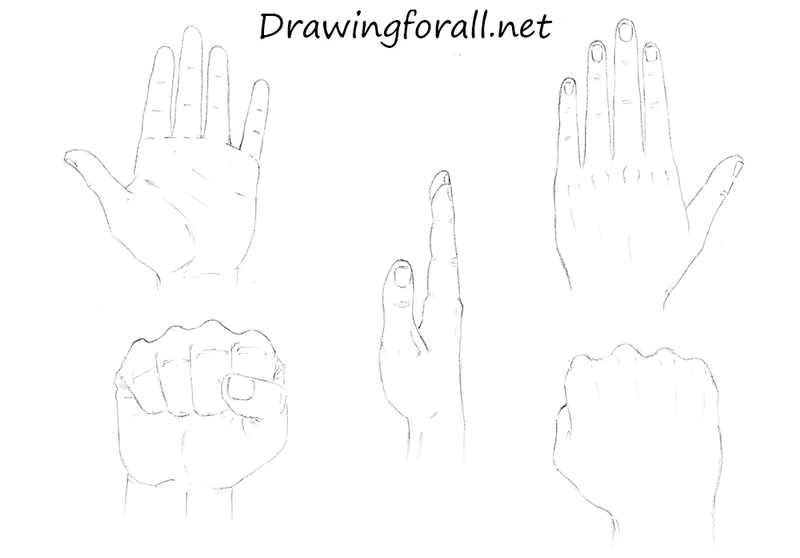 The easiest way to learn how to draw hands is to first understand its proportions and bone structure. 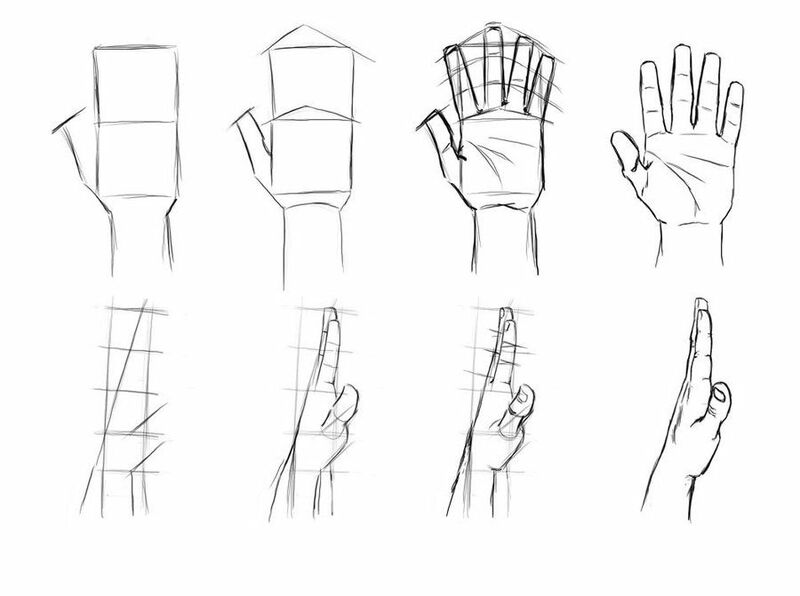 This tutorial will cover how to construct a hand and help you understand it’s proportions but the bone structure is abstract. 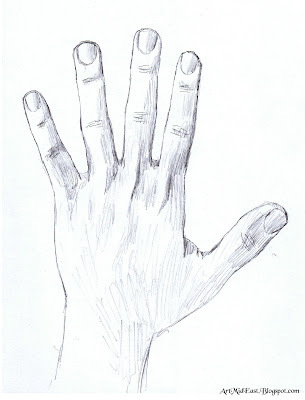 If you want to see a skeletal diagram of a hand, please click here. I will soon be making a part 2 covering nails, skin and wrinkles. You can follow me on Facebook to get an update whenever I post a new tutorial! 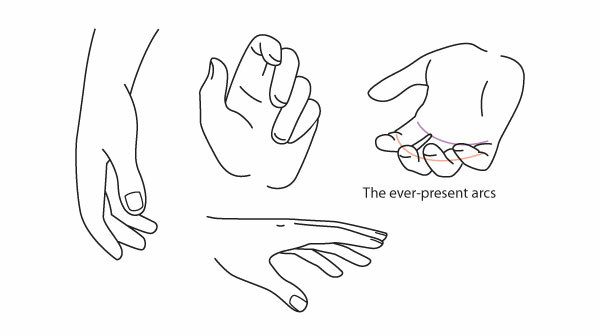 Our hands are extremely expressive and can form endless amounts of gestures. 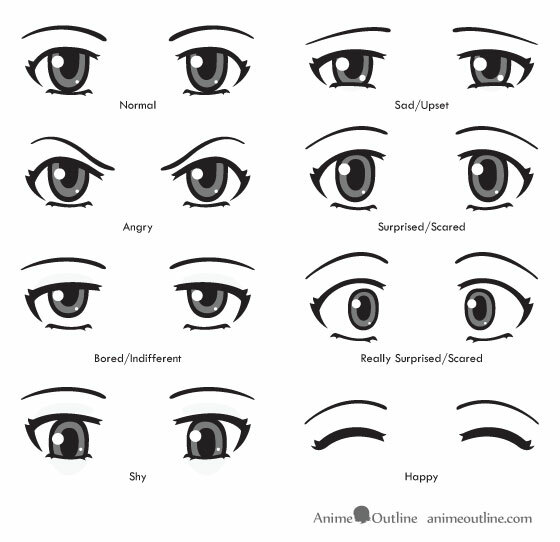 These gestures can convey many emotions such as fear, anger, sadness and happiness. 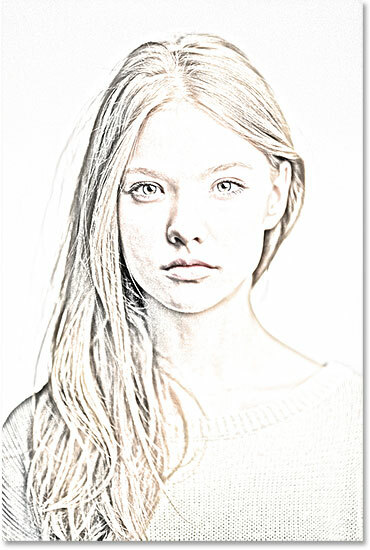 No wonder they’re so difficult to draw! 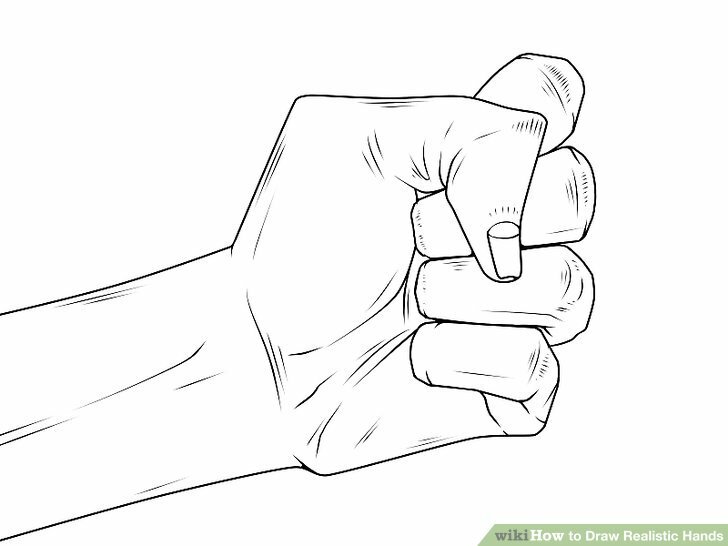 For each finger, draw 2 more circles. 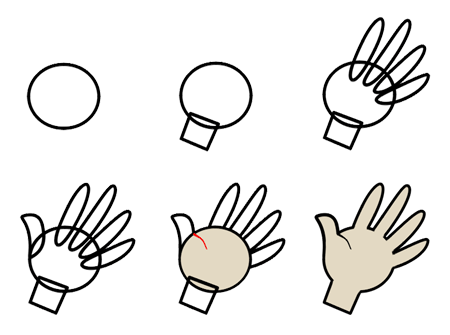 Each finger should have 3 circles ranging from small, medium to large from top to bottom. Make an outline around the structure. Increase the fat between each finger joint for chubby looking hands or decrease the fat while making the joints stick out for a skinnier hand. 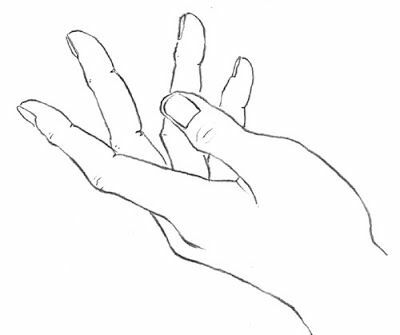 Humans have some webbing in between each finger, so make sure you connect each finger with webs. Make sure they are not too low. 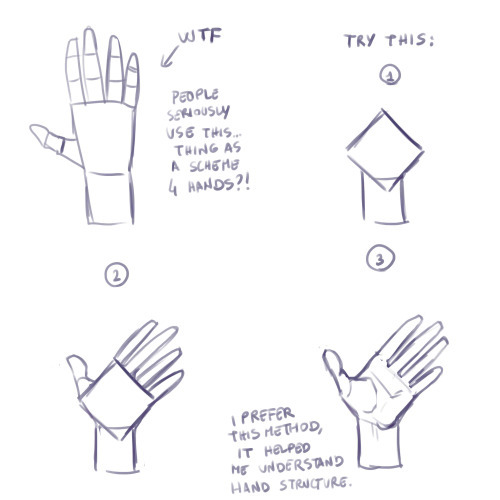 They should be well above the knuckles drawn in step 2. 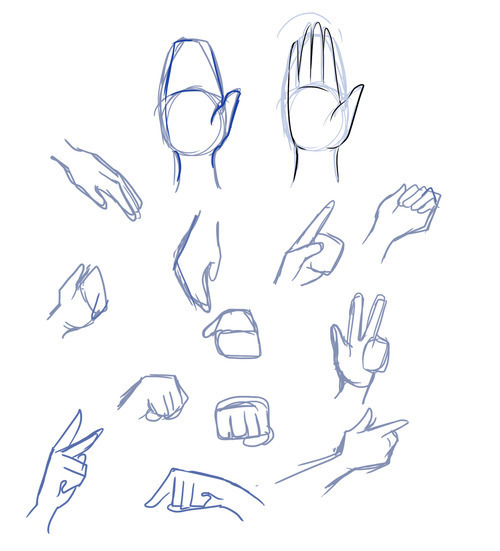 Now that we understand the proportions and how to construct a basic hand, let’s practice drawing different hand gestures. Have any questions or requests? Leave them in the comments below and I’ll get back to you as soon as possible! Draw 4 circles at the top with an even amount of spacing between them. These are the knuckles. Add a 5th circle for the thumb located on the bottom left about 4/5ths of the way down. Use an HB pencil to draw a rectangle slightly longer than a square. Make a slope at the top. The right side of the curve will dip down much lower than the left side since we are drawing the back of the right hand. Taper the right side of the rectangle as well. To determine the length of each finger, measure the length from the wrist to the knuckles and duplicate that. The dotted line marks the maximum finger height. Our fingers vary in length and since the middle finger is the longest, we will use it as a reference to find the height of the other 3 fingers. To do that, draw a curved line that is similar to the first one drawn in step 1. 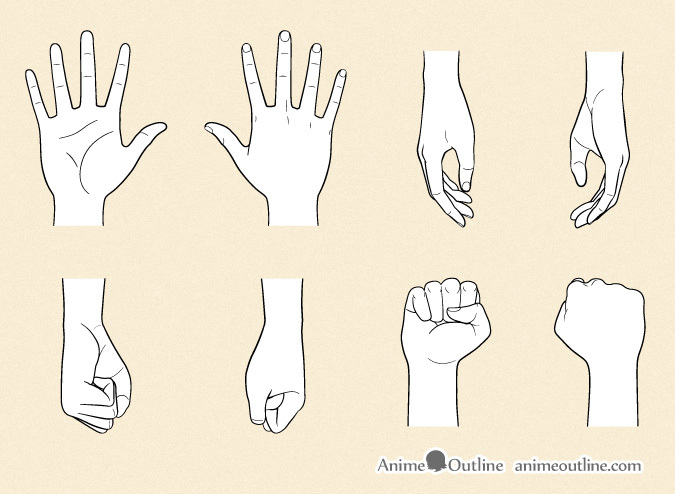 Feel free to download and use the hand images below for your reference! You may find that it is difficult to use the measurement system for certain gestures. 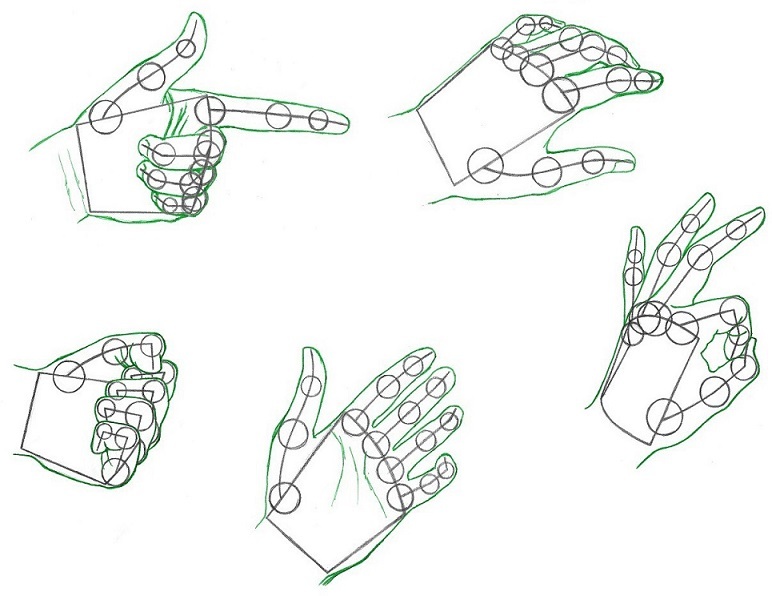 In this case, eye the approximate measurements and remember to implement the use of curved lines when drawing fingers. 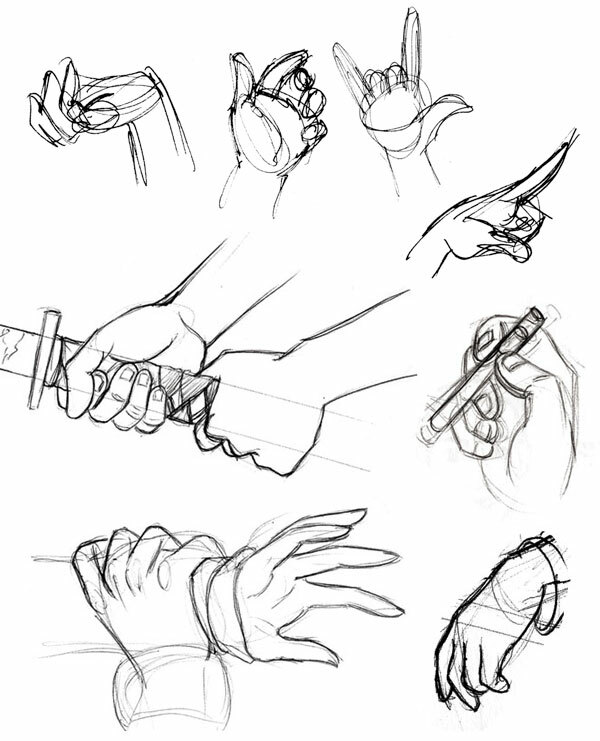 If you practice enough, you should be able to sketch them without the use of guidelines or better yet, be able to visualize and draw any gesture! Understanding muscles, tendons and fat tissue will help add a layer of realism to your hands. Click here for an interactive 360 degree model. You can view different layers by clicking on the thumbnails at the top. For the thumb, draw a curved line coming from the bottom left circle. The height of the thumb will change depending on how far it is spread out. 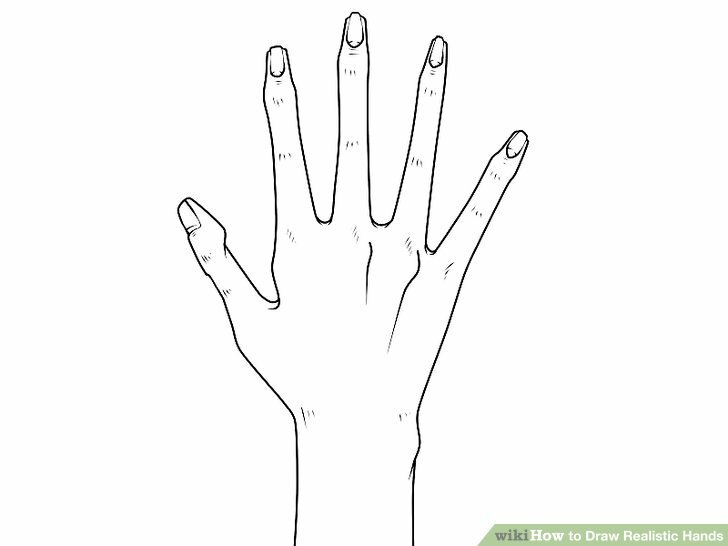 Measure the length of the thumb and draw a circle at the halfway point. Add another circle halfway up from there. I’ll admit I used to draw people with their hands tucked away in their pockets or hidden behind their backs. I would always find ways to hide them because drawing hands was one of my biggest weaknesses. Don’t let it be yours! 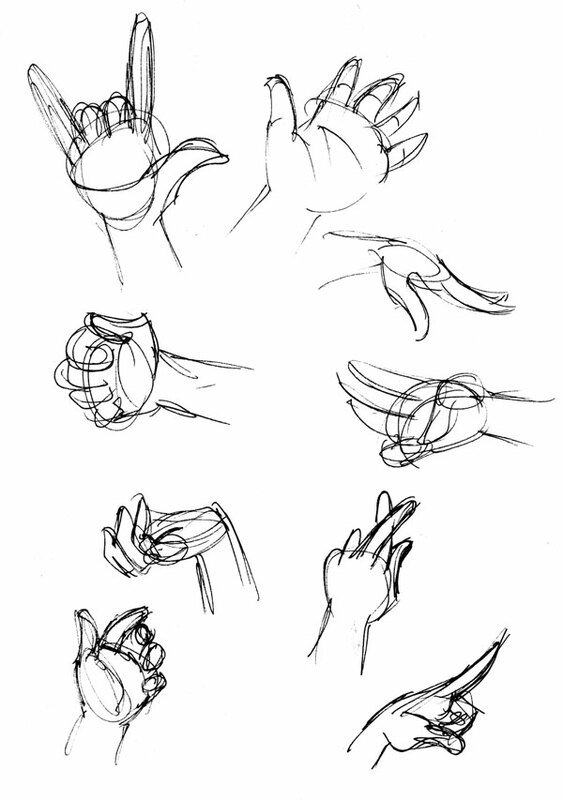 Tuck your fears away, take your pencils out and let’s practice drawing some hands together! 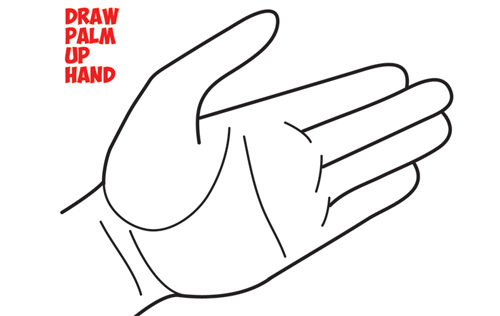 Now that we have all 4 fingers drawn, it’s time to locate each joint. Add 2 more ticks on the middle finger, each roughly 1 quarter of the way down. 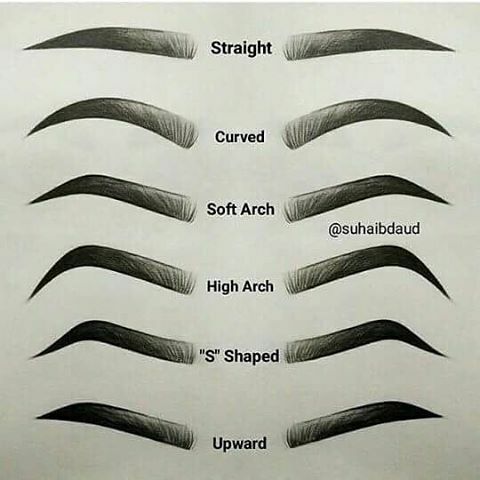 Using these ticks, draw 2 more curves. We now have reference points for joint placement! Wasn’t so bad, was it? Please note that these are only loose measurements for simplicity sake.